Meet MN Viking Marcus Sherels and Help Kids This Sunday! This weekend is a big weekend for one of Rochester's most amazing schools! 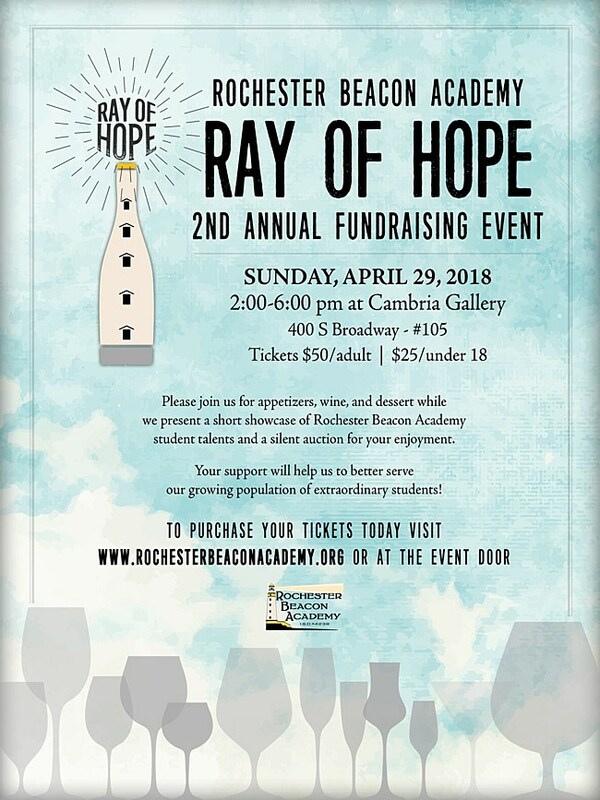 Rochester Beacon Acadamy's Ray of Hope, their 2nd annual fundraising event featuring special guest, Marcus Sherels! Scroll down if you're looking for ticket info and stuff. It sounds awesome, right? But check out this item you can bid on: A Half-Day Experience with Marcus Sherels! CREDIT: RBA - Click for full size. allowing them to reach their full potential and join their community with success." Rochester Beacon Academy once won the Cool Classroom award, and I had so much fun during the visit. Exceptional students, staff, and administration have built a powerful community. Click here to see the RBA classroom receive the award! They recently moved into a much bigger facility, so they can work with more students than ever, but there's never enough money, that's just how it always seems to be. So this fundraiser is super important to continue the excellent educations at RBA. There's a cool feature at the top of RBA's website, it scrolls with different info, and this one really speaks to me. What students are saying about autism......"Even when you're in pieces, you're still the most amazing person I've ever met." -Natalia about her brother"
Sunday, April 29th, 2-6 at Cambria Gallery on South Broadway. A showcase of talent from students at Rochester Beacon Academy! Tickets $50 for adults, $25 for y'all under 18. Download our new APP! Click here NOW! !